With quality custom window treatments and the best window treatment designers in New Jersey, we have you and your windows covered. Book a free In-Home Design consultation today to get started! Delia Shades are solar shades custom-printed with proprietary patterns inspired by architectural traditions from all over the world. Renovationyc was established in 2000 in Manhattan as an offshoot of our Horizon Window Treatments, a premiere windows treatment company. We discovered that many of our clients needed a more comprehensive design and contracting service to truly transform their apartment into the place they wanted to come home to. We made some design suggestions, but we found it increasingly challenging to find qualified contractors to execute our ideas. Our clients needed someone who would not only design their space, but who could get the job done quickly, easily, and for a reasonable price. Our small service quickly grew to become a premier full service home décor company. We now provide design, sales and contracting services to all five boroughs of New York City. 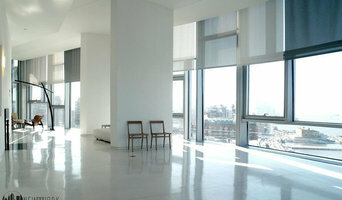 At Renovationyc, we believe that each client is unique and we gear towards each client's individual needs. Our design consultants and contractors will make your in-home shopping experience effortless and enjoyable. Renovationyc clients demand excellence and we pride ourselves on our ability to deliver it each and every time. We offer the experience of thousands installations, along with quality products, valuable design support, and a history of stellar results. We've earned our outstanding reputation, one client at a time. Alluring-Window offers reliable, customized, high quality window treatments for every budget. Our high-end collection of window treatments is partnered with top industry manufacturers such as Hunter Douglas, Hartman & Forbes, MechoSystems, Coulisse, Comfortex and many more. 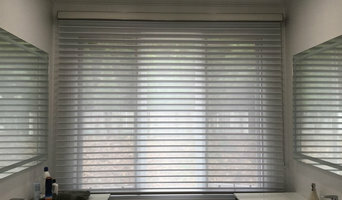 Chose from Motorized shades, blinds and shutters to custom elegant drapery to suit your every need and desire. We provide Customized Service which includes a Free-In-Home-Consultation & installation in order to help you with your window treatments project. You also welcome to visit our showroom located in NYC . 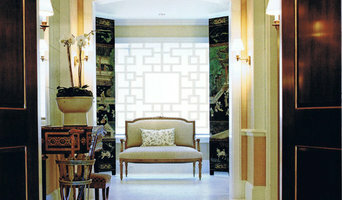 We would love to hear from you regarding your Window Treatments project ! We design and fabricate window treatments, including solar shades and motorization of shades and drapery hardware and other soft furnishings to interior designers, architects and our own personal clients. *Hunter Douglas Authorized Dealer* Our philosophy is that for every dollar spent you should get that and MORE in value. We feel that our client should walk away happy whether you bought a pillow or redecorated an entire home. You'll find more than great blinds, shades, and shutters with United Decorators. Whether you're shopping for a single window treatment, redecorating your entire house or solving a complex interior design challenge, you'll find great people who have knowledge and expertise.